Starting a new blog? WordPress is the way to go. 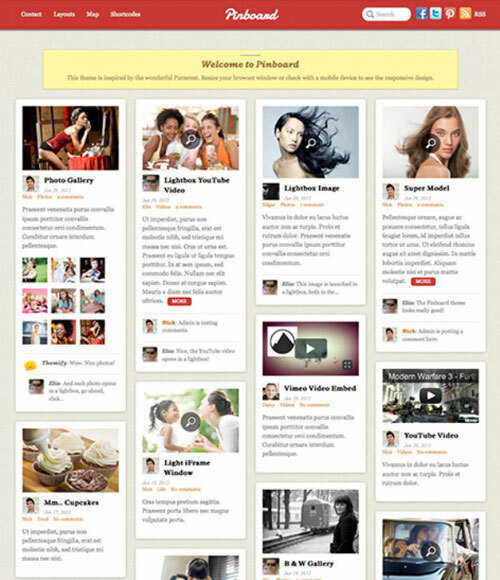 But it is not advisable that you use a pre-designed custom WordPress theme. Why? Because no matter WordPress provides you with thousands of themes, there are millions of people who are using these themes and hence repetition is bound to occur. In order to stand out from the crowd you should choose a theme which is a bit unique. Else you will be lost in the crowd. How should you choose a unique theme? Go for third party WordPress themes. Third party WordPress themes mean, WordPress themes that are designed by companies other than WordPress. Many such companies have cropped up on the Internet. Our recommendation is you check out Themify.me. 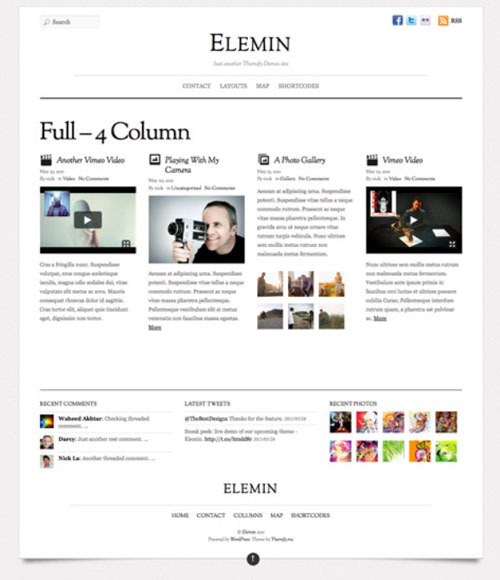 Themify creates wonderful WordPress themes which are highly customizable i.e. you can alter them as per your needs and requirements, and are very easy to be used by anyone. All Themify themes come with an advanced options panel using which you can easily customize your theme without needing to tweak the template file code. This feature is especially useful if you are a novice in web design and feel intimidated by codes and programs. 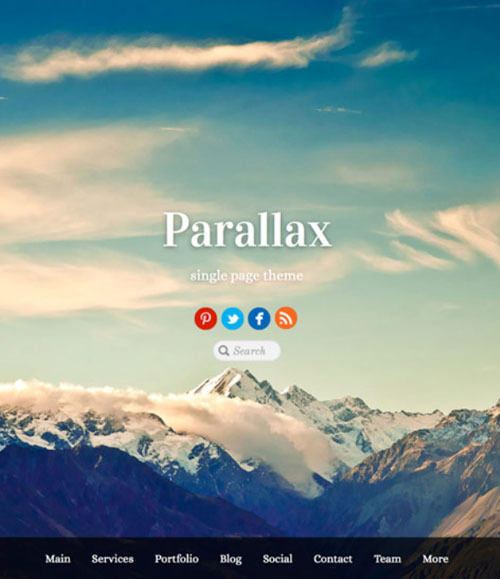 The themes also include a number of custom widgets for different purposes like displaying the recent comments, featured posts, Twitter feed, photos from Flickr, etc. Also they include shortcodes which enable you to display buttons, horizontal rules, Google maps, column content and embedded videos. Some of the other prominent features of Themify are described below. Drag and drop – As the name suggests you can tweak your templates using the drag and drop builder built in by Themify. So you can drag an image box and drop it wherever you want or drag a video frame and drop it where you like using this feature. Yes no coding knowledge is required. Responsive templates – Nowadays many people who don’t possess a desktop, possess a smartphone. And they not only possess it they use it very frequently – when they are walking, waiting for the doctor or even driving a car – their smartphone is usually in operational mode. Themify provides you with responsive templates by which I mean templates that re-adjust their resolution when they are visited from different devices whether that be a desktop, a tablet or a smartphone. So when your reader visits your site from a desktop he will have the same ease of experience as what another reader will have when he visits from a smartphone. Design and color – One of the important problems a new blogger faces is which colors should he use on his site? Many newbies usually end up using cheesy colors and childish designs. Not so with Themify. 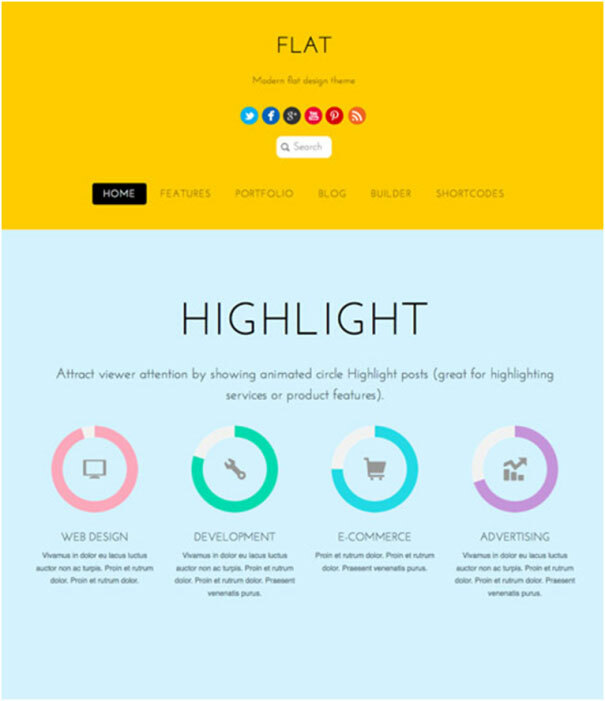 Themify’s themes are designed and colored by expert professionals so that your site bears an awesome look and feel. Enough of talking. Now let me show you some of their WordPress themes. Simple, minimalist and attracts the attention of the reader to the relevant places of your website. Click here to download. Remember those physics classes in which your teacher admonished you for not removing the parallax between the needle and the lens? This theme also gives you a somewhat strange look to the different elements of your site, like reflections look in a lens Click here and see for yourself. Love Windows 8? So does Themify. 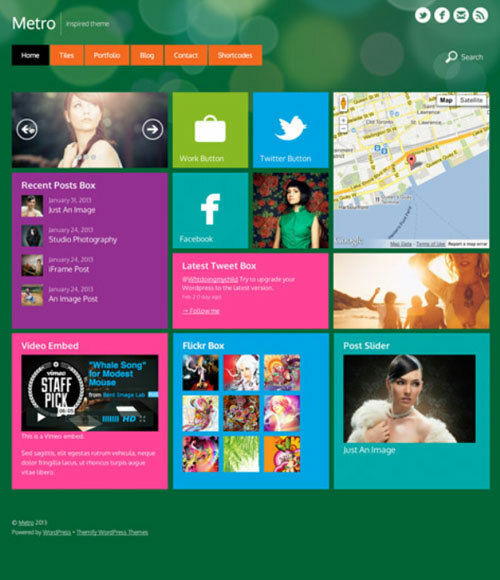 This Metro theme is a look alike of Microsoft Window’s 8 operating system. Addicted to Facebook? Who isn’t? Postline lets you showcase your addiction to the world because the theme is inspired from Facebook’s design. Surprise your readers with a full fledged poster size image. Click here to download. Facebook is not your forte? Pinterest is? 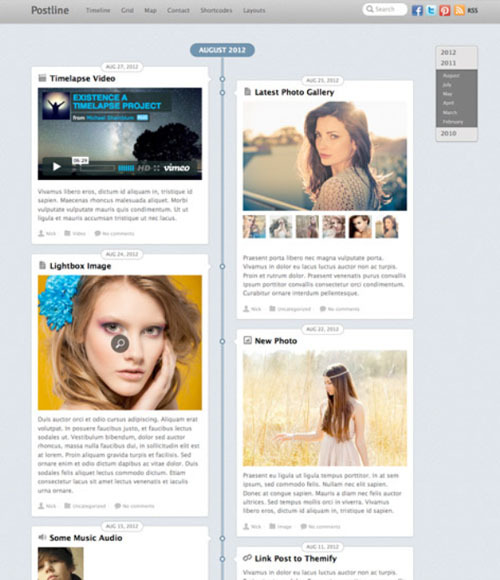 Themify has you covered with Pinboard, a Pinterest inspired theme. Want to sell products on your website? 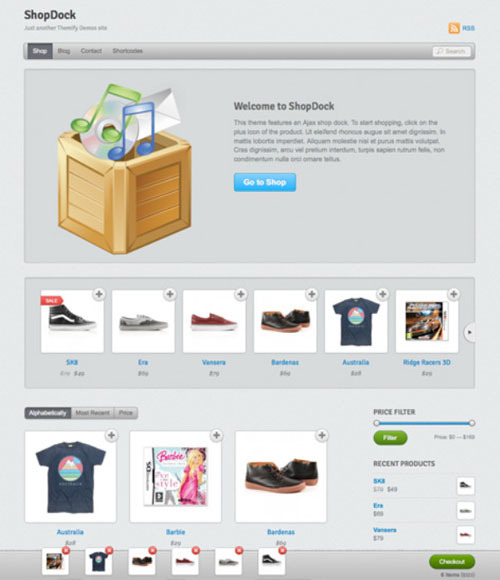 You need an online store like ShopDock. A great sense of typography, plenty of white space and minimal graphics. If this is what you like, download Elimin.